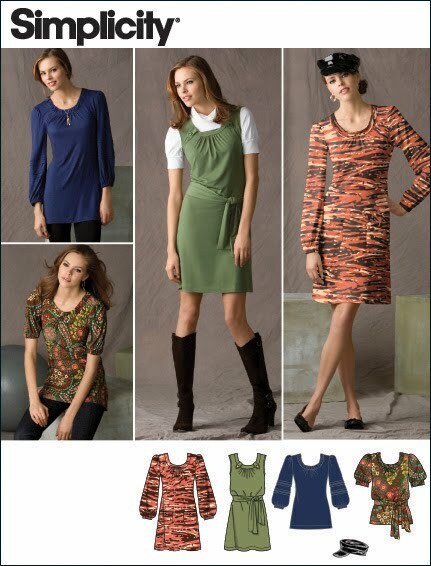 As all may know by now I love when my clothes keep on giving and Simplicity 2850 is another one. This blouse was made during one of my sew-sista, Faye of Faye's Sewing Adventures' sew-along (posted about here). What has made her sew-alongs sew much fun, is when I can fast forward several years and I am still wearing the garment. 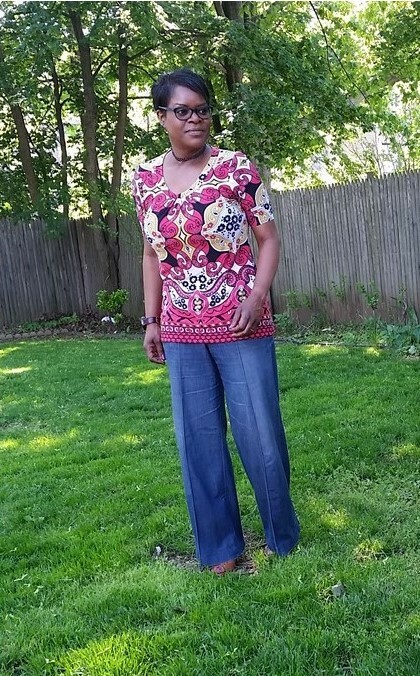 I take my wardrobe to heart, I don't play... when I do my seasonal wardrobe evaluation, I assess what needs to go, stay and can be refashioned. As you can see this top remained and the sleeves were shortened. It's has remained one of my favorite weekend tops, throw it on and go. What I will say is the jeans have seen better days tho'. I've had them for at least 11 years and they are worn and the fabric is almost akin to chambray thickness, thin and a lil too big. Buuuuuut, they are sooooo comfy and the perfect garment for running to the store or just hanging out around the house. Well 8 years later and it's still going strong... who knows, the next time you see it, it may be sleeveless....lol. Love the print of the top and your placement. I prefer short sleeves these days as it does not lock you into a seasonal wearing, so easy to throw a cardi over for cooler weather. I admire that you have a great eye for patterns that are 'timeless'. I am trying to 'get' this myself. Thank you Garnet128 ! Yes short sleeves and tanks have become my go to. Even in the winter. Love your top, Sheila. I have this pattern too but haven't used it yet. like this top. looks so colorful. We have a great collection of African fabrics. Colorful and best quality at lowest price. For whole sell price Visit us, hope you guys love them.